It’s that time again. 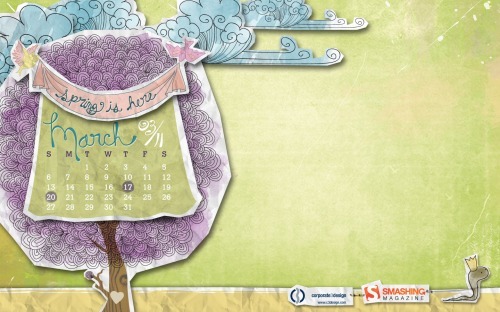 The first of the month brings new free wallpapers at Smashing Magazine. I had a hard time deciding between this one: and March Hare: . 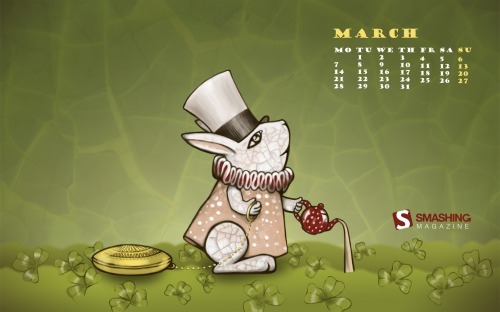 I chose March Hare because I couldn’t pass up the Alice in Wonderland nod mixed with shamrocks.